It's Wednesday, which means it's time for our weekly installment of new arrivals. For today's roundup, we've searched high and low to find the best in designer and fast-fashion pieces—all of which just hit stores—so that you can be the first of your friends to wear them. From the matching sets we're obsessed with for next season to the best tops to pair with jeans to the coolest pants to pair with a simple T-shirt, we have something for every style type and price point. Now your only problem will be narrowing down your favorites and making room in your closet. So what are you waiting for? Shop our picks of the week below, and don't forget to check back next Wednesday for another batch of fresh fashion finds. Never forget about the back. New Mari Guidicelli shoes are worth celebrating. 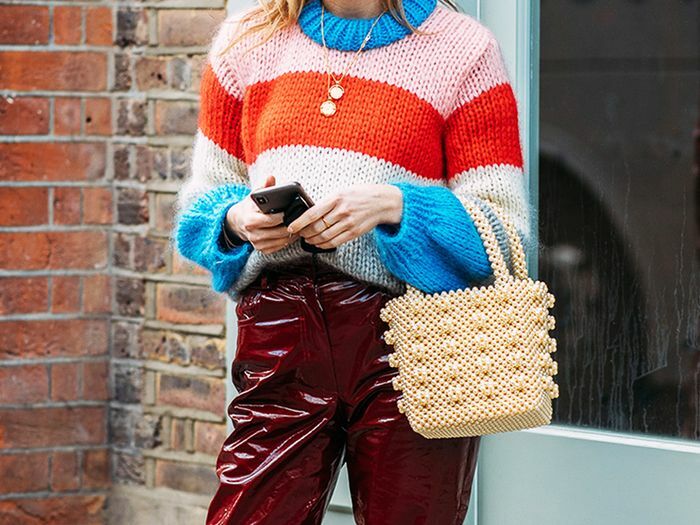 Everyone needs a transparent bag this season, and this one is a definite front-runner. This seemingly simple dress is full of pretty details. Have you embraced Western boots for spring yet? If not, now would be the time. Now, that's a denim skirt worth buying. Not your average slingback pumps. Available in sizes IT35.5 to IT38. Mixed prints even the subtlest of dressers can get behind. A light bag will make any of your outfits feel spring-and summer-ready. There's always room in your closet for another denim jacket. Rebecca de Ravenel's expansion beyond earrings was worth the wait. You can finally get your hands on all the amazing Tibi pieces you've been eyeing since its runway show. How many utility jumpsuits is too many this season? These shoes just get better with every color update. We love a dress that can go formal or casual. Everyone's favorite bag now comes in earring form. Logo mania is back and bigger than ever this season. Sandy Liang can do no wrong.